Twelve years after the finale, “Friends” is still one of television’s greatest masterpieces. Could it be any more funny? 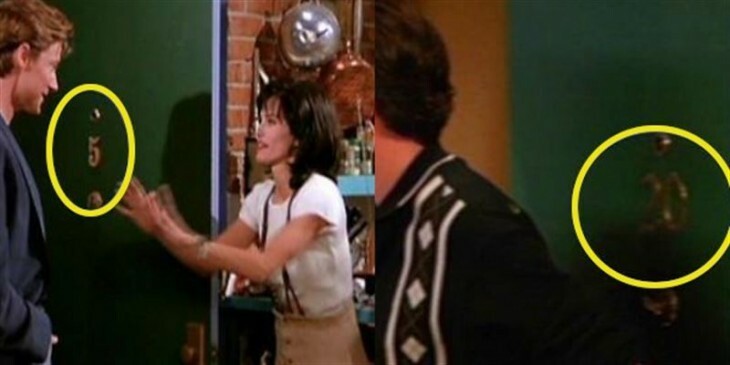 Although we still watch the reruns–because let’s face it, the show is perfect–the Internet noticed a few errors and we have to say, the information had us like “Oh.My.Gawd.” Did you notice these “Friends” errors? In the early seasons, Monica’s apartment number was 5, which was a little weird, because she didn’t live on the ground floor. The writers realized the numbers didn’t make sense, so they changed them from 4 and 5 to 19 and 20.